Here at Callcott & Downey, we understand that time is a very valuable and hugely overlooked resource. Consumers often spend countless hours phoning around, trying to get the best quote, waiting for suppliers to get back to them. Others sometimes wait longer then necessary for repairs to be completed. This all racks up time as a financial cost. Think downtime, or costs put into the labor of trying various suppliers. Think fitting time, when cylinders need to be constantly replaced because they are failing early. We have several means of contact, including phone, email, fax, social media and our website live chat feature. This ensures you are never kept waiting for longer then you have to be to get a response to your query. We operate an emergency repair service and can get you back to work quickly when you are in need. Our re-engineering solutions aim to eradicate recurring faults in cylinders, ensuring they last longer between repairs. We have a range of aftermarket products at our disposal, including our custom protective bellows, to maximise service life and reduce costs. If we can make your cylinders last twice as long, then we would have halved your costs! 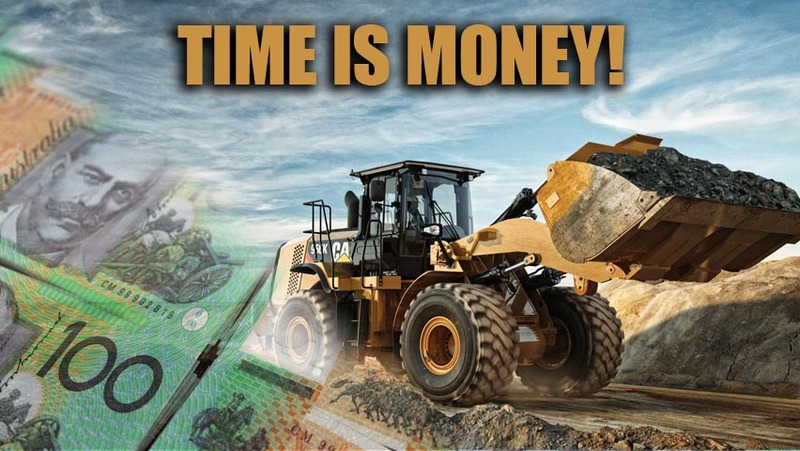 So stop wasting time and ensure Callcott & Downey are your hydraulic cylinder supplier of choice! Is your cylinder tough enough?